Being able to troubleshoot your own furnace will always come in handy. This can save you a lot of time, money and effort, since a lot of times the problems are not serious enough to require the assistance of a trained service technician or an expensive HVAC company to come to your home to have a look at your system. 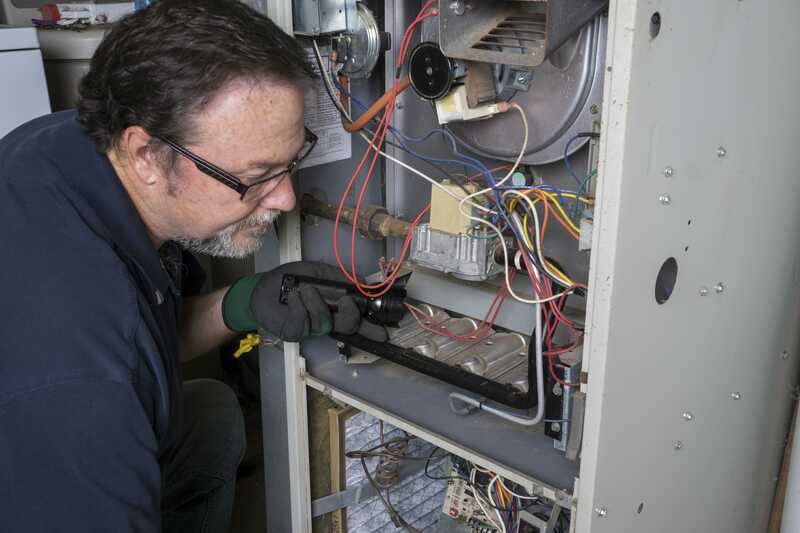 So, in this short article we’ll be showing you the basics of troubleshooting your own furnace. The very first thing that you should do if you notice that it’s cold in your house is to make sure that the furnace power switch is on. The switch for the furnace is not at a normal height for light switches and they do that on purpose to try and differentiate them to make sure they don’t get turned off by accident. The switches are often not put on the right way up, so up might mean off and down might mean on. Make sure that the thermostat is actually calling for heat and make sure it’s not on some setting or program that makes it so it’s not calling for heat. If it’s a digital stat, you just turn the temperature up and make sure that it’s over and above what the setting is. The next place I’d be looking is the main breaker switch, going out to the electrical panel, seeing if the breaker switch is off. Sometimes you can’t immediately tell if the the breakers are on or off. If it’s labeled “furnace”, it doesn’t always mean that it’s actually the furnace. 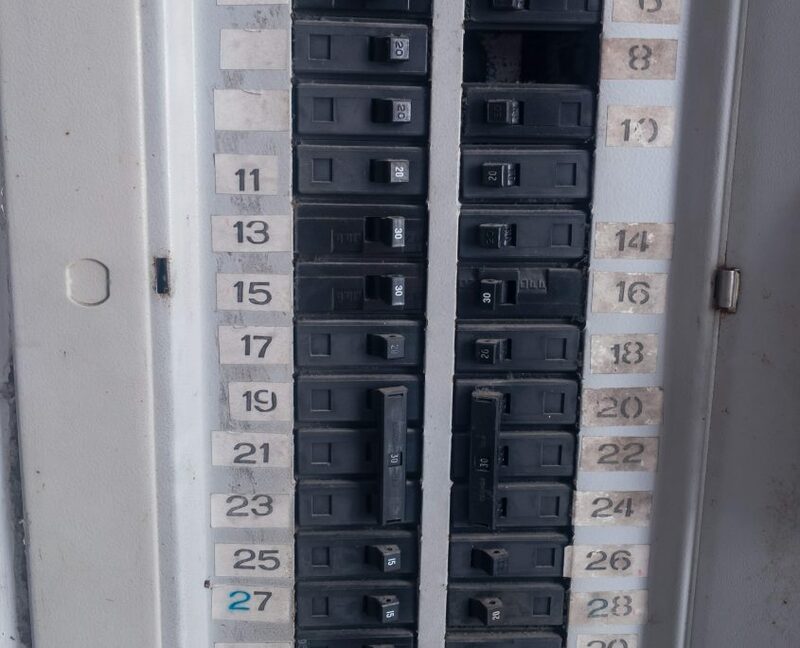 I would suggest looking for any breakers that have been turned off and making sure that it’s safe. A lot of times people presume the furnace being out indicates that there’s something wrong with their thermostat because that’s the part of the system that they can see. I can tell you from experience that nine times out of ten it’s not the thermostat. If it’s not the electrical power, I would be going and looking at the furnace to see if it sounds like the furnace is trying to run. Another very common thing is the filters getting plugged so bad that the furnace overheats, so I’d suggest that you pull the furnace filter out and see if it’s plugged first. If it is plugged, replace it with a clean filter, put the furnace back together and then just let it sit there. Sometimes it will overheat and go into a lock-out mode where it will sit off for a period of time before it tries again to reignite.Or, you can just turn the power switch off and on again will sometimes reset it. If it’s not the power switch and it’s not the electrical, I would be looking to see if your furnace was designed to have a pilot light on it. Usually, before 1995 furnaces were designed to have a pilot light. After 1995 they’d usually go to something like spark ignition or electronic ignition or other forms of things you won’t be able to fix yourself. Regardless of what model you have, if the pilot light is out, that could be something you could fix yourself because there usually is a reason that the pilot light went out. If the pilots out and it’s a furnace that needs a pilot light you can try re-lighting it. I’d say there’s an 80% chance that if the pilot went out, there’s probably a more serious reason as to why it went out and re-lighting it is just a temporary fix. You’re going to still need to do the actual repair because the pilot light will go out again by itself in a relatively short period of time. If you’ve tried all of that and it’s still not coming on, then it’s about time that you pull out your phone and call a service technician to handle it. If it’s a newer furnace it could be about a hundred different things, including venter motors and gas valves and control boards and all sorts of various things that you may or may not feel comfortable working on yourself. Usually for that kind of stuff you want somebody else to diagnose it because if you’re wrong, or the service company is wrong, then they’re going to have to pay for the part that they just ordered incorrectly. I’d say that if it’s not one of the basics (you have a good 10-15% chance to fix it yourself for free), get yourself some help and phone an HVAC company to help you out.